16 oz. Acrylic cup with straw and twist-off lid. 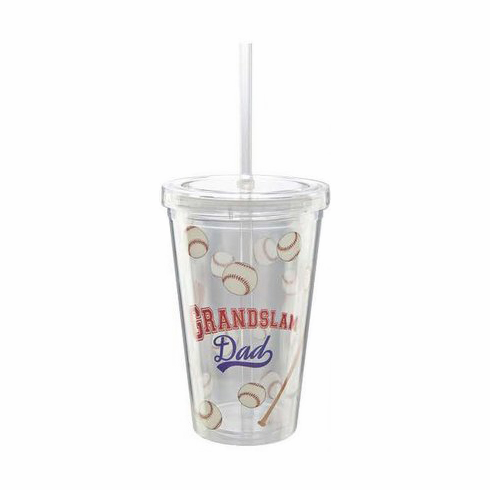 GRANDSLAM Dad image on the front...baseballs all over. Eco-friendly alternative to paper or styrofoam.